This three bedroom, two bath condominium is situated slopeside in the Mountain House village at the base of the Keystone Ski Area. Walk to the Argentine and Peru Lifts, one shuttle stop from the Gondola at River Run. Listen to the peaceful rumble of the Snake River located just outside, or admire the beautiful views of several ski runs. During ski season, walk across the street and you're skiing! Ski/board rental, ski school, night skiing, the new terrain park, and the children's center are all in Mountain House. In the summer season, there are plenty of hiking and biking trails right outside your door. Pick out the perfect fishing spot from the back deck overlooking the Snake River. Keystone offers two championship golf courses. Enjoy soaking in the outdoor hot tub, swimming in the indoor pool, or sitting in the sauna. Walking distance to all shopping, dining and entertainment in both the new River Run and Keystone villages. The free shuttle stop is located at the entrance to the condo complex. Breckenridge, Copper Mountain, and A-Basin Ski areas are all just 15 minutes away. Vail and Beaver Creek ski areas are just 30 minutes away. This unit has been recently updated, and is also our home away from home. We know you will enjoy it as much as we do. We offer huge last minute, mid-week discounts, (Monday-Thursday) during ski season. We enjoy spending as much time as possible in Keystone. There is always something to do. We are the proud parents of three children and four grandchild. We also enjoy driving our hotrods to car shows around the midwest. We were spending more and more of our vacation time in the mountains. We were also looking for a place to enjoy our retirement. Keystone is a beautiful place with plenty to do. We enjoy skiing, biking, hiking, and of course dining and entertainment. We enjoy staying in with friends, the condo is big enough for a group. It is close enough to come in for quick warm-ups in the winter or lunches around the fire! 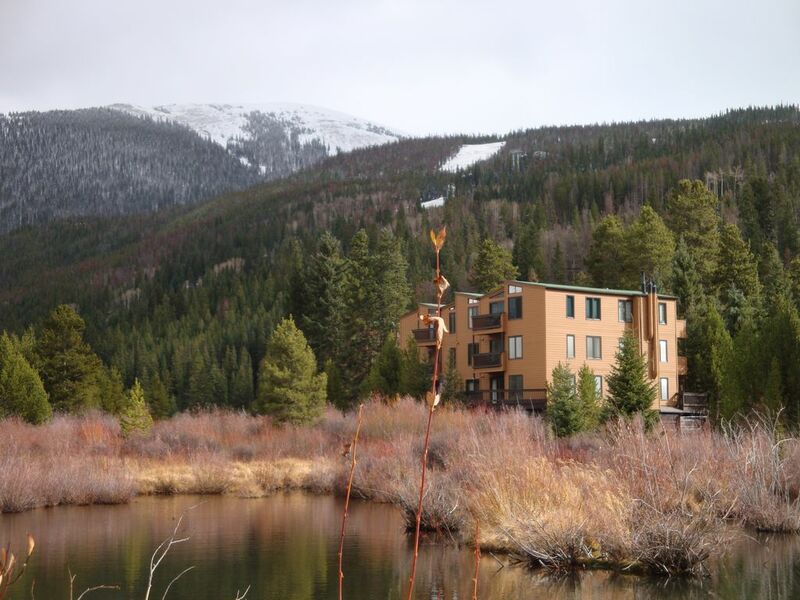 We are located in the Key Condo Complex in the Mountain House base area of Keystone Resort. In the heart of the Mountain House Village. The snake River runs right outside the door. Enjoy the peaceful rumble from the back deck overlooking the river. Keystone strives to be the most family friendly ski area. There are many wonderful things to do and see. You name it and Keystone strives to deliver. Our condo is so warm and cozy, you may never want to leave. Vacations are a luxury and we want to make yours as special as possible. We are happy to answer any questions you may have regarding renting online or where to find the best dining and entertainment. Our family spends as much time as possible in Keystone, so we want our home to feel like it is your home away from home too. Great space and location for the price. Comfortable space for a family of eight. Location was great and kids loved the indoor pool and hot tub after a day on the slopes. wonderful stay in the mountains! Our family very much enjoyed our stay here! We had everything we needed. View was great. Beds were comfortable. Prices was very reasonable. The only minor problem we had was that the internet was very slow. Thanks very much! Great location, beautiful (smaller part of snake river flows past condo for beautiful sights & sounds). Plenty of room for 5 parents & 3 young adults (ages 16-22). Well stocked kitchen & supplies. Very comfortable! Owners very kind & responsive when contacted. Can't wait to return! Thank you so much for the kind words. So happy you enjoyed your time. This condo is in a great location to start skiing from the Mountain House. It was a 10 walk across the parking lot or a 10 wait to take the shuttle one stop. The condo is smaller than other 3 bedroom condos I've stayed in but the difference in price made it worth it. We ended up having 6 adults and 2 kids staying there. It would have been too cramped for me if we had had any more people. The kitchen was well stocked but was missing a cutting board and a pitcher. We had to go buy hand and dish soap (we left both there for the next people). It has plenty of coffee filters for the coffee pot. The internet was too slow and rarely worked. It was more efficient to avoid using the wifi rather than wait for it to load content. Sometimes the cable TV stopped working. The TV is pretty small. It would have been nicer to have a bigger TV that would easily fit in the space. We tried to use the vhs/dvd player but it kept turning off. The beds were all comfortable. The cabinet has a lot of good card and board games. The condo is on the third (top) floor so it stayed nice and warn even without turning the heat up too much. There is no elevator so all bags must be carried up four flights of stairs so this may not be a great choice for older people who don't like stairs. The equipment locker was convenient to store all our skis, boards, and poles. You have to walk outside to get to the clubhouse/pool/hot tub. The hot tub is nice and big (and hot). Having an indoor pool was great for the kids. The pool has towels but I'd suggest bringing your own beach towel because the pool towels and the regular shower towels are pretty small. It was a great vacation and we'd definitely stay there again. Thank you for taking the time to comment on your stay. We strive to make your stay as comfortable as possible and that everything is in working order. The location is the reason we chose our vacation home and is the reason we continue to have guest stay. I will contact our internet provider to see if there is anything we can do to correct the wifi connection. I do hope you choose our vacation home in your future plans. Thank you so much for taking the time to write a review. I always appreciate kind words. So happy you enjoyed your stay. It was conveniently located between both Keystone gondolas and a great condo to crash. Just to be aware, it is on the 4th floor (3 floors of condos) so be ready to build those quads and endurance. Very nice amenities with 3 bedrooms and 2 bathrooms which was great for our family. Huge hot tub and pool which was relaxing after a busy day of skiing. Kitchen with stove, microwave, oven and dishwasher for those who want to eat in. Parking was convenient and easy. Ski locker on the bottom floor lessened the pain of bringing gear upstairs. Thank you for taking the time to review our vacation home. We hope you enjoyed your stay. The location and the views are the main reason we love our home, steps no so much! This location is perfect for both summer and winter activities. Nothing better than walking out the door in the summer to fish or just sit by the stream or go biking on the bike trail. In the winter, you just walk across the street and you're skiing. With a little creativity you can ski back to the condo entrance to enjoy a relaxing lunch by the fire or just a quick warm up. Keystone offers a variety of events throughout the year and this location makes it perfect to enjoy them all.